London:- SOME economists fear the consequences of China’s credit bubble. Others such as Simon Hunt Strategic Services say that worries are overblown and China’s authorities are deliberately tightening controls, cleaning up the financial system. Infrastructure spending will also spur growth. An analysis by the New York Federal Reserve Bank summarises the extent of China’s credit surge and backs the concerns of many economists and business people. In a paper, New York Fed economists Jeff Dawson, Alex Etra and Aaron Rosenblum estimate that non-financial debt in China has increased from roughly US$3 trillion at the end of 2005 to nearly US$22 trillion in 2016. Banking system assets have increased six-fold over the same period to over 300 per cent of gross domestic product (GDP). In 2016 alone, credit outstanding increased by more than US$3 trillion, with the pace of growth still roughly twice that of nominal GDP. “The international experience suggests that such a rapid build up is often followed by stress in domestic banking systems. Roughly one-third of boom cases end up in financial crises and another third precede extended periods of below-trend economic growth,” they caution. Indeed, several economists and analysts are fretting that recent moves by the Bank of China to tighten credit could precipitate financial dislocation, bankruptcies and an economic slowdown. Such developments would have adverse consequences on Asia, other emerging markets, Europe and North America. Last week, ahead of the Silk Road Forum, Simon Hunt of Simon Hunt Strategic Services contended that the pessimists could be wrong. Mr Hunt, who travels to China frequently, maintains that four developments have unnerved markets: a weak April purchasing manufacturing index, the People’s Bank of China (PBOC) tightening since the start of the year; the return of financier Xiao Jianhua to the mainland and interrogation into conduct of related financial institutions. Finally, the regulators are forcing the liquidation of speculative leveraged positions. “These developments have created huge negativity about China’s economy which is unwarranted in our view,” Mr Hunt contends. He expects a slowdown in China’s economic growth in July and August as a result of the above factors. Mr Hunt predicts, however, that most of the “clean-up” of the financial system should be completed in the next three months, followed by a modest easing by the PBOC and new infrastructure projects, especially related to the national grid. “After the 19th Party Congress, China’s economy will see the next uplift based on further opening domestic markets to foreigners and an acceleration in the restructuring of manufacturing,” Mr Hunt forecasts. Other economists maintain that it will be exceedingly difficult for the Chinese authorities to control credit without causing pain and potential bankruptcies in property development and other speculative areas. They add that the PBOC has “ample tools”, including high reserve ratios, to extend short-term liquidity via an array of facilities to a financial sector that is dominated by state-owned lenders and borrowers. The New York Fed economists contend, however, that China’s authorities must reform its banking and financial sector. 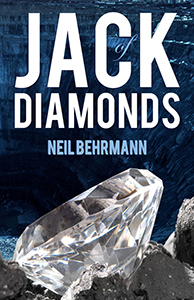 Reviews are on both sites and Amazon. 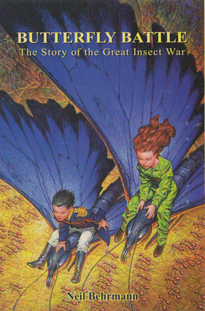 The updated, 2015 Waterloo commemoration version of Butterfly Battle is on Kindle and e-books. We welcome readers’ reviews on Amazon. 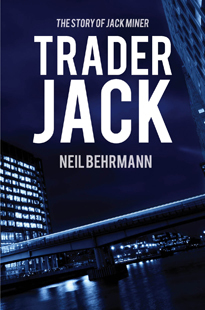 A sequel to Trader Jack will be published in coming months.